Thought I’d share some fun facts about Elvis. How many of these tidbits did you already know? In 1974, Elvis bought the entire stock of Lincoln Mark IV’s from Schilling Motors in Memphis and gave them all away as gifts. George Klein became friends with Elvis when they were in eighth grade at Humes High in Memphis. They remained friends throughout Elvis’ life and George currently has a radio show on SiriusXM Elvis Radio. 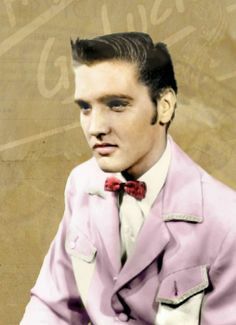 Elvis valued friendship very highly and many members of the so-called ‘Memphis Mafia’ that surrounded him throughout his career were guys he’d known from the early days. There has been a great deal of speculation about the spelling of Elvis’ middle name, whether it was Aron or Aaron. George Klein explained on his radio show that Elvis told them how that came to be. It was always intended to be spelled with one ‘a’ but in the excitement during his birth—when his twin, Jessie Garon was stillborn—they spelled it with only one ‘a’. Later, Elvis wanted it changed to the biblical spelling with two a’s and Vernon wanted to honor Elvis’ preference, and that is why it is with two a’s on his tombstone. 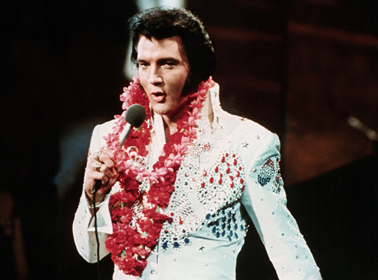 Elvis’ 1973 concert, Aloha from Hawaii was a benefit where all proceeds went to cancer research. Rather than charging for tickets, those who attended were only asked to pay whatever they could donate. 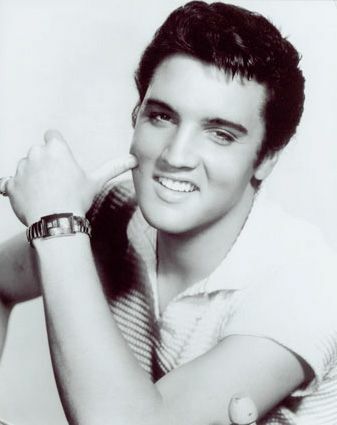 When Elvis first started making movies, he tried not to smile much, because he was afraid to show his teeth, afraid the studio executives would want to ‘yank them out and replace them with movie star teeth.’ Which was insane, because his teeth were beautiful. I didn’t know any of these facts – thanks! Interesting Elvis factoids for fans! I did not know the Aloha concert was for cancer research. Thanks for posting! Happy to do so. 🙂 Thank you for visiting. Yes, a very worthwhile cause. Elvis was a generous man. I knew several but not ALL of these facts! If anyone wants to REALLY hear Elvis ‘had it’ until the end….listen to/watch him do “Unchained Melody” in Elvis In Concert from I believe June of 1977??? I don’t like that song still today by anyone but him. However….It was not one of my fav’s when we were growing up sister, but I love, love it today!! If any of you haven’t heard it….look it up on YouTube. Elvis plays the piano with NO music accompaniment! Kinda makes ya SHIVER!!! So true, Ruth. It is gorgeous. He definitely hadn’t lost it. Thanks Alicia!!! Great facts to know!! I love that song too. And I agree, I get very emotional, too! !